1996-2000 is when Overclocking begins to truly mature and becomes fairly widespread. This is when overclocking truly evolved, becoming more popular among hardware enthusiasts, as well as when becoming much more user-friendly than it had been before. Between 1995 and 2000, there were a few significant things that made overclocking into what we know today. The first of which is the fact that hardware vendors started to support over-clocking endeavors by releasing a large variety of cooling hardware, that was incredibly good at cooling PC components. This was when the first mass-produced water-cooling kits started to appear, and though they were expensive, they cooled like no other method seen before. 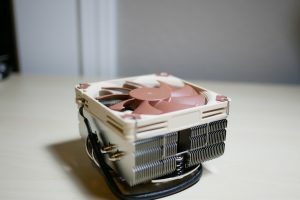 Air-cooling, still the staple in PC’s, had many revolutions, such as moving from all aluminum heat-sinks, to copper heat-sinks, as well as mixed Copper/Aluminum designs. Also, the first “tower” design heat-sinks appeared, which improved performance significantly – if the heat-sinks were made well, that is. This also is the first time that Liquid Nitrogen, Dry Ice, and other extreme cooling methods become known to the overclocking world in a big way. Before this time, you did not truly need this kind of cooling to get the most from your PC but advances in CPU and GPU technology made this kind of cooling necessary. As the CPU’s and GPU’s got better, they created more heat, necessitating more cooling. For example, as CPU TDP (thermal design power) went from 25 watts,to 35 watts, to 95 watts and beyond, much more cooling became necessary to keep the CPU’s safe. The second of the many reasons is that overclocking, as a hobby and as a competitive sport, began to truly spread. From the insane guys at LAN-parties and Overclocking and PC events that could take a CPU from 300 MHz to 900 MHz using Liquid Nitrogen. All the way to the average guy who knew about computers who wanted more speed from his machine. Over-clocking grew in this age massively. Much of this growth is attributed to two things: Magazines and the huge amount of PC-users compared to previous decades. Magazines (and later on, internet news websites) had a huge role in shaping the early days of PC overclocking. They made overclocking much more widely used, and significantly more popular than it ever had been up until this point. Overclocking truly explodes in popularity, and is widely popular among enthusiasts. In 2002, Intel released their new Pentium line on the brand-new Socket 478 board to compete with the AMD Socket A and AMD Athlon CPU’s. These two CPU and chip-set launches truly started Overclocking as it is similar to today. The reason for this is because of the advances made on these new chip-sets, and the fact that the new CPU’s had the built-in ability to over-clock. That is as long as you buy the “unlocked” versions of the CPU. This meant that over-clocking became widely accessible, and no longer as much of a hack or mod to do, requiring much less work to get decent overclocks. The new chip-sets, from both Intel and AMD, now had either somewhat-functional BIOSes or fully functional BIOSes for overclocking and general use. Meaning that you could now change the speed of the CPU you have, without changing any jumpers, and going through all the steps to overclock that way. Now it became much easier with a few buttons; you could overclock your PC simply by changing settings and rebooting. Also during this time, overclocking competitions, partly because of the new-found ease of over-clocking, mainly because of the press and vendor support, grew massively. Hwbot.org, originally started as a school project for overclocking rankings. It has now become the biggest over-clocking site there is, started in 2005 as a simple website dedicated to keeping track of forum threads and overclocking rankings. Large over-clocking events became a reality, with competitions such as the ABIT Over-clocking competition and others making a media splash! This is one of the big reasons over-clocking became so big, so quickly media coverage of it began to increase massively, leading to ever-growing numbers of people getting into the Overclocking world. 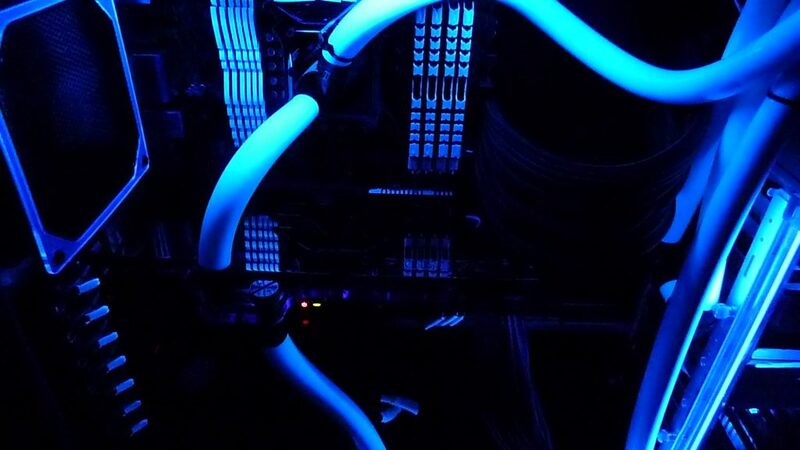 Extreme cooling, as well as normal cooling, also had many significant advances at this time, with Liquid Nitrogen becoming ever more popular among extreme overclockers, and water-cooling becoming much more realistic for people to buy. Air-cooling heat-sinks also advanced significantly, and this meant that, for a minimal amount of money, almost everyone could overclock at least a little. Moreover, many, with the right cooling solutions, took CPU’s unbelievably far- sometimes doubling, or even triple the speed of the PC that they were over-clocking. 2006-2010 – Overclocking becomes hugely widespread, and incredibly popular through many events and media show-casings. In this time, 2006-2010, overclocking changes from an interesting hobby with a few events, to a hugely widespread, incredibly popular e-sport as well as hobby for enthusiasts. The reasons for this are many, but a one of the main ones is that media coverage, as well as vendor Overclocking events like ASUS’s OC competitions. As well as others like Intel’s many events at CES, E3, and other big tech shows, which made overclocking into a largely renowned e-sport and hobby. The reason behind all of the media coverage is a fairly straightforward one with all the crazy things people did to overclock their machines, media outlets had ample information to make great pieces about the crazy PC’s. This caught the attention of many hardware and PC enthusiasts. While many of them did not necessarily do crazy things like use LN2 and Phase-change cooling to their PC, they certainly overclocked the PC’s at hand at least a little bit. Intel and AMD, seeing that Overclocking events tended to bring in a great amount of media attention, started hosting more and more competitions. Partnering with other vendors such as MSI, Gigabyte, and so on, to create great competitions. These overclocking competitions had great prizes, and grew the popularity of overclocking as an E-sport massively. Thus, more people began creating even more events because of the popularity of overclocking. Because of the things many of the extreme Overclockers were doing at these competitions, average Joe overclocker suddenly had the idea “I wonder if I can overclock my PC?”. This added to the amazing growth of overclocking during 2006-2010. A few big things hardware-wise happened in this time that were great for overclockers. The first thing being that, in 2007 and 2008, the first BIOS that were significantly better for overclocking use came out, redefining how PC’s were overclockable. The new BIOS had many new features: some could use a mouse as an input devices, many had “Auto-Overclock” options. They make basic overclocking simpler, and lastly all of the new BIOS had under-the-hood improvements that made power control better, and overclocking stability better. 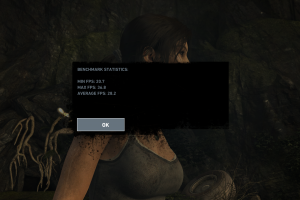 This meant for significantly better overclocks, and led to the breaking of many world records with the new BIOS and motherboards. Also, in 2008 and 2009, Intel began to release “Extreme Edition” processors- beasts that were unlocked, top-of-the-line CPU’s meant for enthusiasts who were going to overclock. This signals the start of the big hardware vendors (Intel and AMD) truly supporting overclocking, not simply as a hobby, but as a thing that Intel and AMD sponsored. In 2010, a brand-new BIOS appeared, that would forever change overclocking. The UEFI BIOS, a bios with a whole slew of changes and updates, but one major one, the ability to use a mouse in the BIOS. This made changing options a lot easier for beginner overclockers, and brought on a new age in overclocking, one that is still with us today. It is the age of digital power, auto-overclocking that actually (sometimes) works, and is the BIOS choice that is incredibly popular with anyone who knows about over-clocking. Unless, of course, you are one of the super-insane overclockers who like the non-UEFI BIOS because it allows for ridiculously fast speeds, with the right cooling. Overclocking has grown from a little-known hobby to an incredibly popular, widely competitive e-Sport over the course of just over 20 years. This is due to media exposure, hardware vendor support and over-clocking events becoming huge events for e-sports. It has grown from a few people to including nearly 20,000 people on Hwbot.org alone! Lastly, Overclocking knowledge has filtered down enough so that most people who know enough about computers, can overclock with ease.